Hot on the heels of the well-received Deluxe Edition of The Visitors, November 2012 will see another release in the ABBA Deluxe Edition series. This time the 1975 album simply entitled ABBA, featuring classic hits such as ‘Mamma Mia’, ‘SOS’ and ‘I Do, I Do, I Do, I Do, I Do’, gets the Deluxe treatment. The first disc in this 2-disc package is a CD, which features the original album plus three bonus tracks, all of which have been remastered especially for this release. The second disc is a DVD, featuring 60 minutes of previously unreleased television performances, including the complete 1976 television special ABBA In Australia – the export version of the famous The Best Of ABBA special, which had higher viewer ratings in Australia than the moon landing! 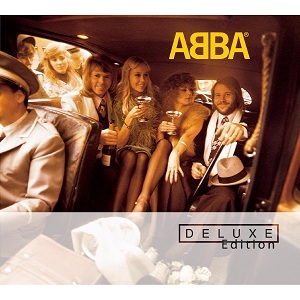 6 of the 12 songs in the special are performances of tracks from the ABBA album. In addition, there are three songs from the 1975 television special Made In Sweden – For Export, along with two great performances from the BBC archives: ‘SOS’ on Seaside Special, first broadcast in 1975, and ‘Mamma Mia’ on Top Of The Pops (1976). To round off the DVD there are two vintage television commercials, one for the Australian hits album The Best Of ABBA (along with the other albums released by ABBA in Australia up to that point) and the other for ABBA’s Greatest Hits album. In 1974 ABBA leapt into the world’s consciousness with their Eurovision-winning smash hit, Waterloo. They never looked back and the group’s wholesome image and superbly crafted, often buoyant, catchy pop songs made ABBA international stars. Nelson Mandela famously declared ABBA his favourite pop group and they even eclipsed the car manufacturers Volvo as Sweden’s largest earners of foreign currency during 1982. They are easily one of the most commercially successful groups of all time and it is their ‘Best Ofs’ and ‘Greatest Hits’ collections that have been the focus of more recent decades, starting with the release of ABBA Gold, which topped the charts around the world in the early 1990s.